When it comes to defending cases involving kidnapping, Jeff Dean should be your number one choice. He is one of the most respected criminal defense lawyers in Minnesota. He has garnered a great reputation for his high success rate and extensive experience in criminal law. 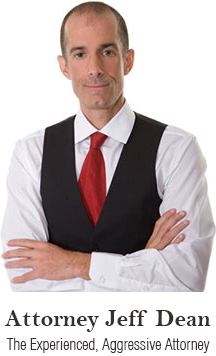 Judges have recognized Jeff for his wins, and other attorneys often call upon Jeff for his assistance in the evaluation of their client’s cases. If you are facing a kidnapping charge, it is crucial that you have an experienced criminal defense attorney with a proven track in your court fighting criminal charges. Jeff Dean has that record and he is recognized as one of the most successful attorneys in the state. Maximum penalties for kidnapping are imprisonment for up to 20 years and/or a fine of up to $35,000. If, however, the victim is below 16 years of age, suffers great bodily harm, or is not released in a safe location, the penalties are increased to 40 years imprisonment and/or a $50,000 fine.